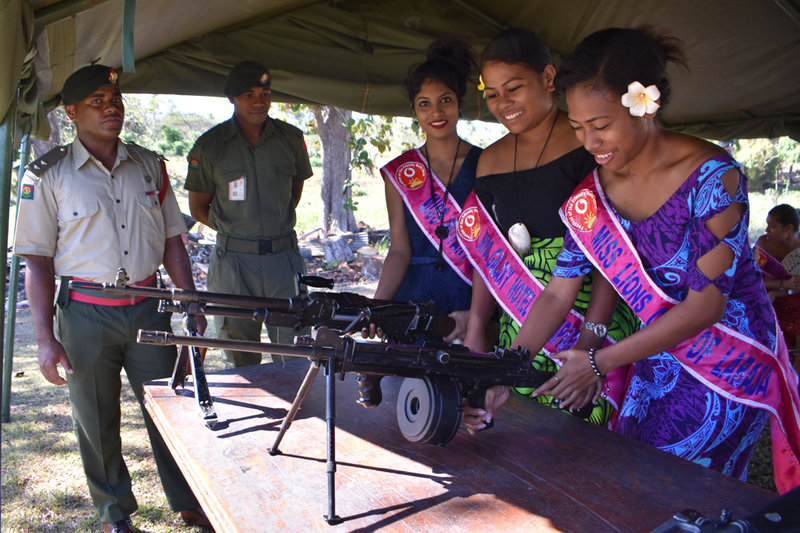 Festival committee thanked for visit to Sukanaivalu Barracks and National Fire Authority. 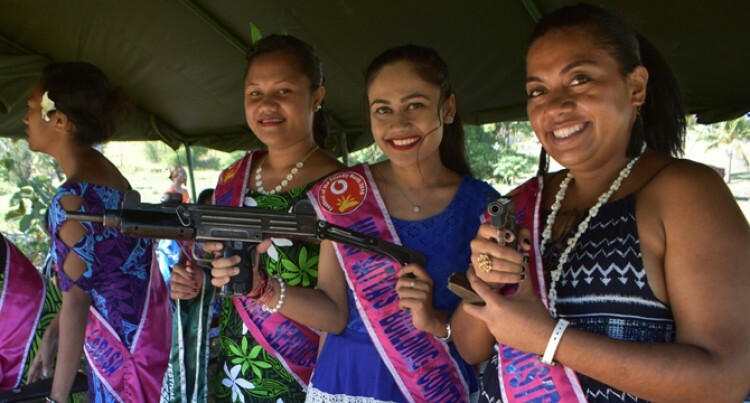 Holding a real gun and see­ing ammunition for the first time was a thrilling experience for contestants of the Vodafone Festival of the Friendly North. Yesterday, the 12 queen and four king contestants visited the Repub­lic of Fiji Military Forces’ Suka­naivalu Barracks in Labasa. The Sukunaivalu Barracks is named after Corporal Sefanaia Sukunaiva­lu – the only Fijian soldier so far to receive the highest military award known as the Victoria Cross medal awarded to any Commonwealth force. During the visit they were briefed by Company Second-in-Command, Lieutenant Maikali Beranage, be­fore moving on with a weapons dis­play and Hapkido showcase by the RFMF unit base. “Golf Company is responsible for the security of the whole Vanua Levu, including nine districts in Bua, 11 districts in Macuata and 15 districts in Cakaudrove,” Lieuten­ant Beranage explained to the con­testants. “We also have an Engineering Squadron responsible for rehabili­tation and renovation works under the Commissioner Northern Pro­ject. Lieutenant Beranage also thanked the festival committee for choosing Sukunaivalu Barracks as one of the visiting venues. The visit to the camp ended with refreshments provided by the Army wives of Golf Company. From the military camp, the con­testants visited the National Fire Authority. There, the fire officers showcased a rescue operation and hosted morning tea later.